When choosing a Fairbanks electrician, accept only the best. 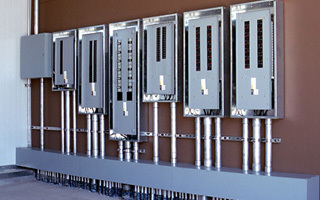 Bright Electric offers superior quality electrical services to residential and commercial clients just like you. Our experienced and professional team of experts is dedicated to providing you with reliable and dependable service. We take great pride in our customer service and attention to detail. Our staff is ready to help with everything from initial planning of your electrical project through the final clean up and walk through. Our goal is to provide our clients with a strong, responsive company that knows how to get the job done correctly, on time, within budget, and with pride. As a full service electrical contractor, we offer a complete range of services - from planning and budgeting, design, materials, permitting, and construction. 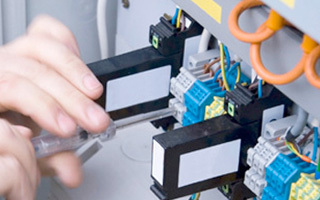 We welcome the opportunity to show you how we can satisfy your electrical needs. Please review the information provided on our website and contact us if we can help you plan for your future project. As a locally owned and operated, Alaska based business, every one of our customers is extremely valued. It is our goal to earn your trust and keep your business for years to come. Give us a call at 907-488-1233 and provide us with your contact information and tell us more about your upcoming project. We look forward to working with you! If you are looking for a reliable and professional Fairbanks Electrician then please call 907-488-1233.